Mary Rivers watches Maggie Sipary inflate a beluga stomach at a spring camp near Hooper Bay in the 1930s. 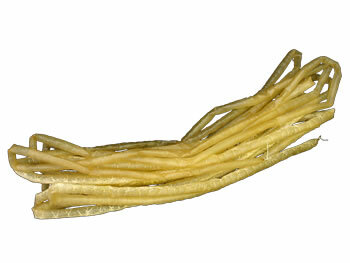 The stomach would be used to store cooked beluga skin, and the long, thin esophagus near Maggie's mouth would be cut into strips and bleached in the cold to use as decorative trimming on boots and parkas. Cakuiqayuitait makliit. Angqapigcaaqut nataitneng egcingaitut. Nenri taugaam tamakut egciiqait. Ca tamalkuan aturtura'urlutulqaat augkut. They never discarded any [edible] parts of the bearded seal. Although [seals] are very large, they won't throw away any edible part. They will only discard their bones. Those poor people in those days always used everything. To this day, Yup'ik people value seals for the meat and oil they provide. A bearded seal can weigh as much as 450 pounds, with 300 pounds of edible meat. 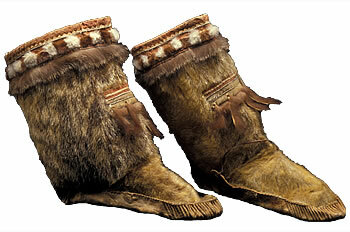 Seal skins can be used for clothing, storage containers, seal-skin rope, and boat construction. Seal intestines can be made into waterproof garments, and seal stomachs become water and oil containers. 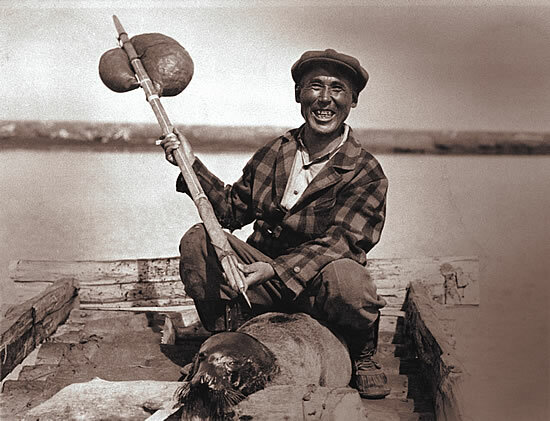 Yukon hunter holding a barbed harpoon with a seal stomach float, which he probably used to hunt the seal at his feet. 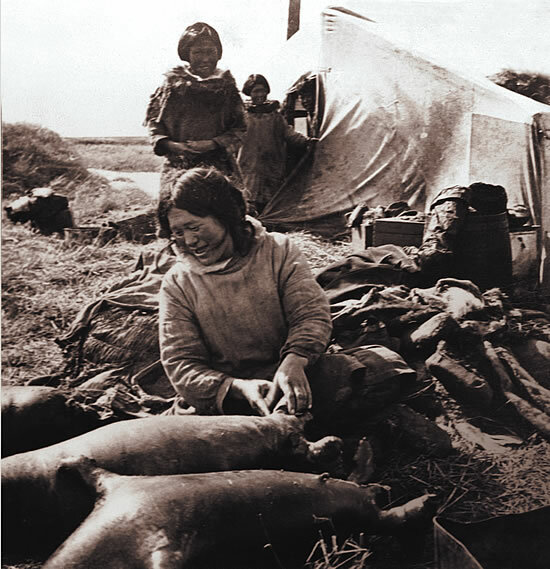 A woman prepares sealskin pokes at spring camp along the coast near Kwigillingok, 1930s. The filled pokes were stored carefully in underground storage pits. Peter John remarked, "When they didn't have freezers back then, they used the underground as their freezer." 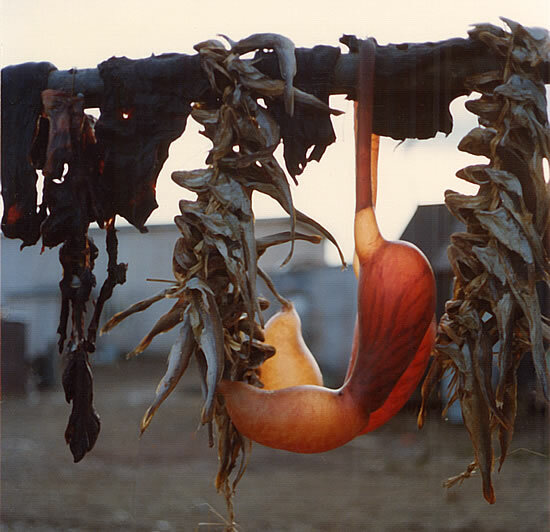 Bearded seal stomach drying on a fish rack, Toksook Bay, 1977. The smoother inside of the gut would become the outside of the parka. Neva Rivers described scraping intestines with clam shells to clean them, then placing them inside melted puddles of fresh water on the ice to bleach them white. 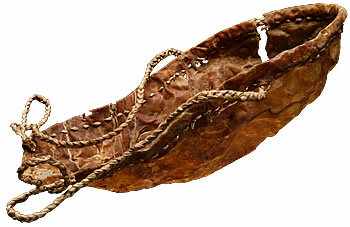 Neva Rivers noted: "A man making a boat gave us children a bearded seal skin with handles cut on the edges for drying. We jumped on that skin before they sewed it so it could soften." 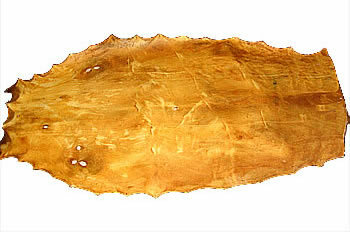 Seal scratcher, made with seal claws, that helps the hunter sound seal-like. Phillip Moses recalled with pleasure: "A man crawls when hunting for seals on ice, and when the seal gets up, he scratches this on the ice and the seal would lie back down. He would get closer. When he reaches it, he harpoons it." 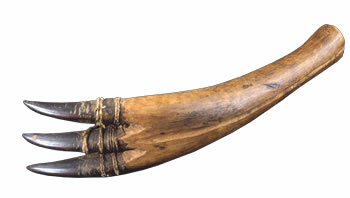 Walrus-bladder water container with ivory nozzle. To make fresh water, ocean hunters broke ice into pieces and held containers like this next to their stomachs while they slept. 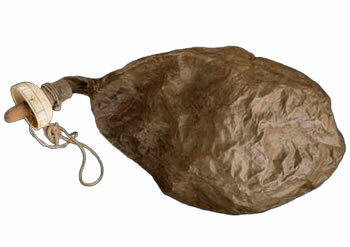 Walrus-stomach bag for storing gear and clothing. 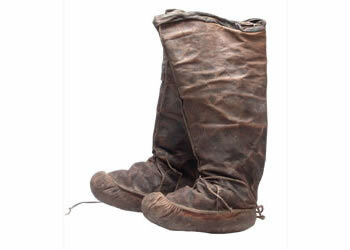 Virginia Minock said that boots should be stored in opposite directions so they would not walk away. 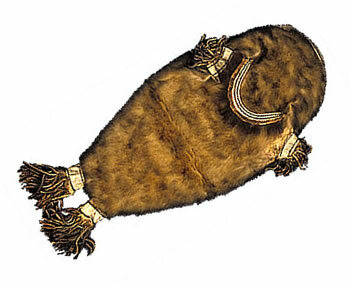 Frank Andrew noted, "Sea mammal pelts were used extensively before they began using these modern things. They couldn't be without them." 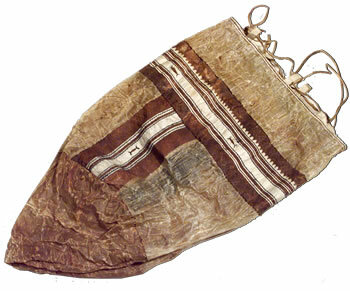 Diaper made of a seal stomach, held in place with braided grass and packed with dried moss. 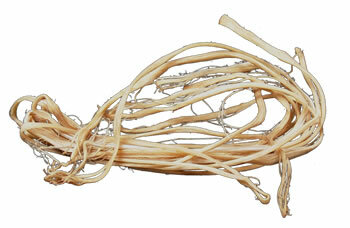 Beluga sinew, some raw and some split and braided as thread. 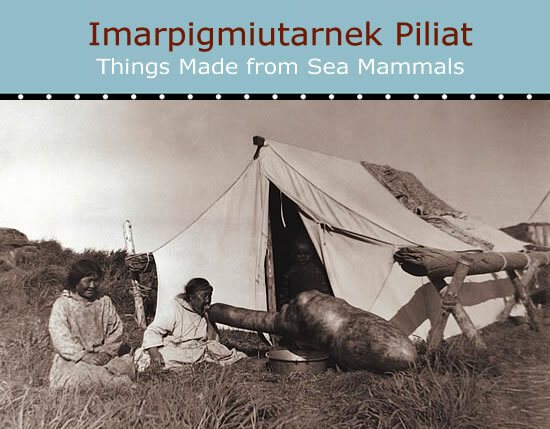 Neva Rivers said: "They removed sinew from the tail of the beluga whale or from a bearded seal leg. After scraping them, they soaked them in urine to remove the oil and blood. Then they soaked them in water and hung them to dry. They were different lengths, and some were long." Frank Andrew said: "Sometimes we took them off, dried them in the sun, and put fresh seal blubber on them, making them waterproof."